It’s official. We got the letter today, and we are officially DTC! I know that doesn’t mean anything to most people. But Dossier To China status is something Eileen and I have been thinking about, praying for, and working toward for what seems a very long time. Now, finally, we have yet another reason to rejoice this Christmas. And what perfect timing, right?! We began this season celebrating Jesus’ birth and His adoption by Joseph, as well as our adoption by the loving Father through Him. And now this! Overjoyed doesn’t begin to describe how we feel. Simply put, DTC means our dossier (the encyclopedia of personal information, essays, legal documents, and referral letters we’ve been amassing throughout our adoption journey) is now in the hands of the Chinese government. Next, that information will be “logged in” to their system, and we — finally, after all this waiting — can be matched with our son. The son we already have set our love upon and prepared a place for. It’s so close we can taste it. We seriously can’t contain our excitement! …has been and continues to be very expensive. But, of course, as adoptive families and experts have warned us, the real challenge begins when our son comes home. Our son will have special needs (which may range from something as minor cleft lip/cleft pallet or a surgically correctable heart condition, to something more severe). His most demanding special need, though, will be something common among all adopted children: connection. Our son, who will probably be two to three years old when we travel to China and pick him up, won’t know we’re his parents. In fact, he will have no concept of a loving “parent.” We are praying hard that he might receive the best possible care and healthy attention now, while his tiny mind is developing so quickly.. and we are unable to be with him to nurture it. (Will you please join us in that prayer?!) Yet it’s 100 percent certain that even in the best of conditions, he will require vast amounts of our attention. We won’t have the option to request help from a babysitter for quite a long time — in order to help him overcome developmental delays, learn proper social behavior, and just to achieve a sense of security as we earn his trust as reliable, sole providers. Basically, we will need to treat our two- or three-year-old like a newborn. That means Eileen will be stepping back to focus more on her role as a full-time mother. I confess, that idea scares me. As our business grows exponentially, we aren’t entirely sure how we will cope. But we are planning as best we can, and leaving everything in the Lord’s hands. 1. Pray. We believe this is effective; the Lord listens to and guides the prayers of His people. There is so much that is out of our control. So we need God’s direction. 2. Encourage. 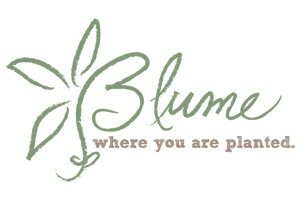 To follow our story, you can subscribe to our personal adoption blog here, http://www.BlumeWhereYouArePlanted.com. When the going gets tough, the tough get going; and we treasure everyone who is able to stay in touch with us over the long haul! 3. Donate. Eileen and I feel deeply humbled (and even a little embarrassed, although we know that really is a character flaw on our part) every time one of you asks how to donate to our adoption fund. You, our friends, have asked to donate even though you’ve already donated so much time to making our first two adoption fundraisers great successes. (You helped us raise several thousand dollars! Thank you!) Many of you also know that those funds ran out quickly, as we still need to raise approximately $25,000 more. Unfortunately, our business account can’t continue to support the large withdrawals it’s been providing up to now. The good news: Now that our dossier is complete, we can finally apply for grants! We’re applying now for a matching grant, which will allow your generous gifts to be twice as valuable! If you feel led to donate, would you please email us at phillipblume@gmail.com simply to make a pledge? We will then let you know as soon as our grant and online account go live! 4. Purchase a 2016 Grand Canyon calendar today! If you do order your calendar right now (we need to place all orders at once, quite soon), please keep it visible next year and remember us in your thoughts in prayers as we — all of us — face breathtaking challenges and grand opportunities every single day.